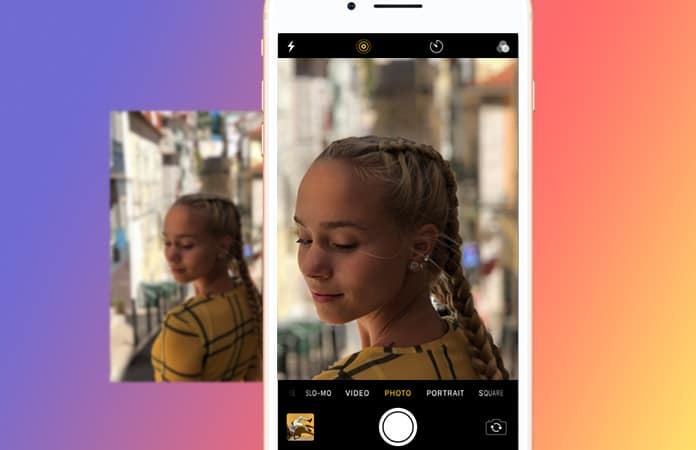 For the past few months, Instagram has rolled out some of the nifty new features for their app. Now, when we think people at Instagram will take a break, but, no! They just introduced another new amazing feature called the Superzoom. The Instagram Superzoom is fully-integrated to their app camera mode, and it is by far one of the craziest and super fun Instagram feature I have ever experienced. So you might be asking what Instagram Superzoom feature do? Well, you can record a video through this feature (that does not sound amazing) I haven’t reached to the amazing part yet. 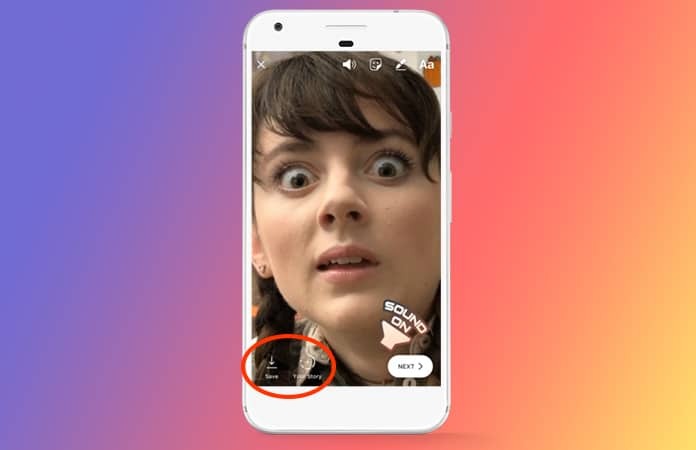 So while you are recording the video, the camera will start to zoom-in on an object or a face, simultaneously a mysterious music will be playing in the background. It is fun to create funny and dramatic videos by using the Instagram Superzoom feature. Also you have the option to share these zoom-in videos on your daily stories. Note: I am have tested this feature on both Android, Nexus 6P and the new iPhone X. And I have to say that it works perfectly fine for both of them. If you can find this feature on your Instagram app, make sure that your app is updated. 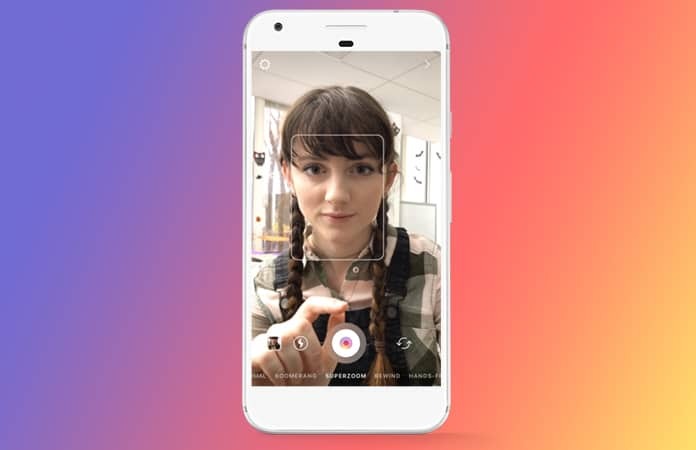 Here are the steps to make these amazing Superzoom videos from your Instagram app, either with iOS or Android device. Step 1: Launch the Instagram app and then you have to tap on the camera icon on the top left corner. It will open the camera mode, now swipe left under the shutter button, until you reach the Superzoom option. The Superzoom feature is place between the Boomerang and Rewind feature. Step 2: Next, you have to tap on the shutter button to start the recording process. It will automatically start recording a 3 second video while zooming in and playing music in the background. But if you are not satisfied the 3 second clip and want to make it longer. Then, you can just simply tap and keep holding on the shutter button, to record a 15 second Superzoom video. The 15 sec Superzoom video will have prolonged and slow zoom on the face or object. Step 3: Once, you’re happy with the results. You will have two options to choose from. Either you can save the Instagram Superzoom video in your library. Or you can post the video as your Instagram story, subsequently like other stories you can send it to your friends as a Direct Message. 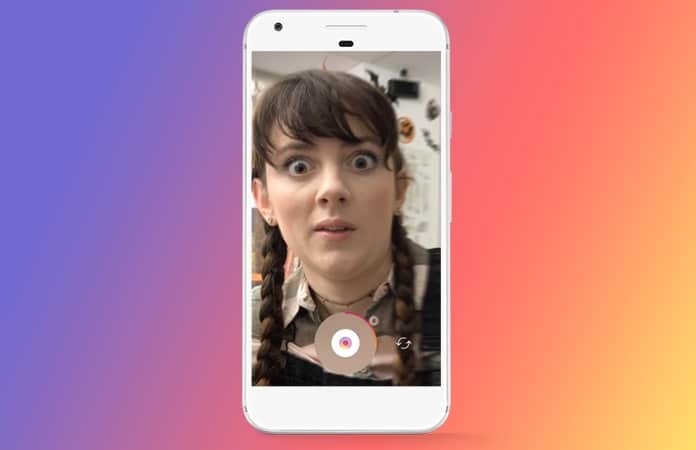 Step 4: That’s is it you have just created your first ever Instagram Superzoom video and shared it with your friends. Subsequently, you don’t need Superzoom to create a zooming in effect. You can achieve this effect by simply holding down on the shutter button and then dragging it with your finger into an upward motion or vertical. This will then zoom in your video, but keep in mind this will not add any music and stutter effect, which can only be achieved through Superzoom. Let us know in the comments what you think about the Instagram Superzoom feature? Are you going to use this feature turn any moment into something fun and amazing?